About 25,000 people will have to pay extra premiums when MediShield Life is launched on Nov 1. These include people whose health insurance policies do not cover their pre-existing conditions now, as well as those who have no insurance at all. Malaysia's High Court has given Prime Minister Najib Razak until Oct 1 to file his defence in a suit brought by a sacked Umno member over US$700 million (S$980 million) that was deposited into his private bank accounts. Lawyers said they would file an application today to strike out the suit against Datuk Seri Najib and party executive secretary Abdul Rauf Yusoh. On-form Australian golfer Jason Day claimed his fourth USPGA Tour victory in six starts on Sunday to take over the world No. 1 ranking from Rory McIlroy. The 27-year-old led from opening round to the end, closing with his second straight two-under-par 69 to win by six strokes at the BMW Championship, the third of four tournaments in the FedExCup play-offs. The world's corporations have jostled to get into Yangon since the transition to a quasi-democratic government and a market economy began in 2011. But street vendors - the backbone of the teeming informal sidewalk economy which has survived five decades of dictatorship - are falling through the cracks of Myanmar's modernisation. Cyber security, military exchanges and economic issues are expected to top China's agenda when President Xi Jinping makes his first state visit to the United States starting today, as he tries to display China's rising global influence amid fears that its economy is faltering. A failed coup in 1965 sparked a spate of killings which left a legacy of violence and denials that continues to haunt Indonesia today. By Invitation writer Endy M. Bayuni says it may be left to the next generation to try to deal with this more objectively. Yale-NUS College is reviewing its curriculum to better coordinate content across undergraduate modules. Some students have said grading in some science courses is erratic and lectures can be confusing. Home Team national servicemen asked for more family-oriented facilities at their clubhouses and they now have refurbished family rooms, new food outlets and a new gym at their Sembawang clubhouse after a makeover. In the pipeline are more facilities at the Bukit Batok and Tampines clubhouses. Small and medium-sized enterprises (SMEs) have largely focused on automation and training in their efforts to become more productive, but the impact of these efforts across the economy has been limited and more can still be done to help SMEs transform themselves, said a Singapore Chinese Chamber of Commerce and Industry survey. Laneway, the annual indie music festival which is holding its sixth Singapore edition at Gardens by the Bay on Jan 30, will feature its largest line-up to date. Among the 22 acts confirmed are bands such as Beach House and East India Youth, as well as returning acts like Chvrches, Grimes and Battles. 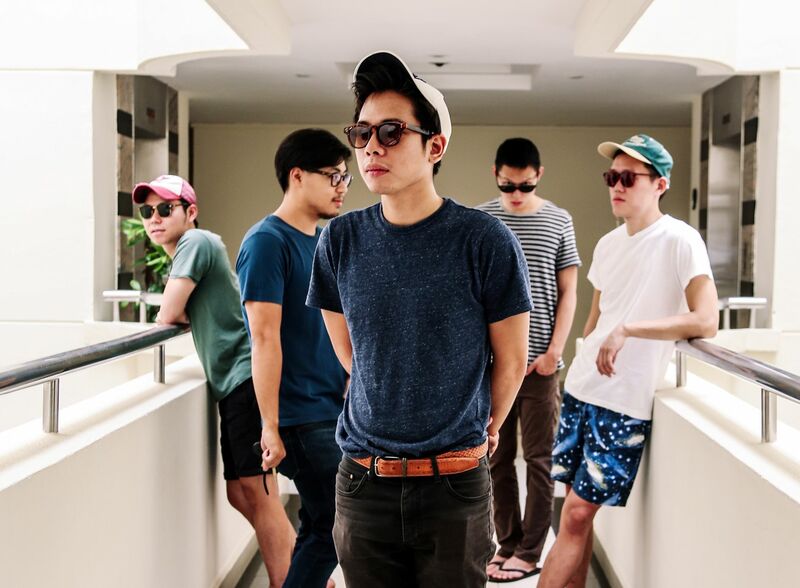 Three Singaporean acts are also on the bill: Cashew Chemists (photo), Riot !n Magenta and Intriguant. Yesterday's review, "Voting on the squeeze for space", indicated that the pickup truck which drove through the performance area during a show at Bukit Brown Cemetery was scripted when it was not. We are sorry for the error.